Incident serves as a reminder to stay on top of your exhaust fan maintenance. Earlier this month hundreds of employees and tourists got a scare as alarms sounded in the US Capitol and an adjacent visitor’s center, triggering an evacuation. Fortunately, within an hour the employees were back at work and the tourists were back to enjoying their visit to the Capitol. According to a spokesperson for the US Capitol Police, the alarms were triggered by a “known problem with environmental controls with the kitchen exhaust fan” in the visitor center. Officials did not clarify what the problem was exactly, but were careful to state that there was no smoke or fire. Federal buildings are always going to take safety and security very seriously, but the decision to evacuate may have been helped along by the fact that another odd cooking-equipment-related incident had just occurred near the Capitol two days prior. In this incident a pressure cooker was found in an unattended vehicle parked nearby on the National Mall and had to be destroyed by a bomb squad. 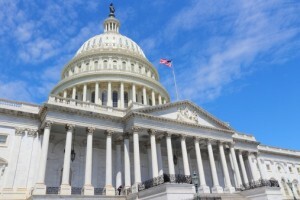 Now, if you operate a commercial kitchen, chances are you are not going to have the same level of security concerns as a facility in the US Capitol complex. However, you are going to have the exact same kitchen air control needs. Like the officials at the Capitol, you need to know when your kitchen exhaust fan is malfunctioning. Because a malfunctioning exhaust fan can spell big trouble for your commercial kitchen. At a bare minimum, it may cause heat and odors to build up in your kitchen, which will cause your employees discomfort and may even result in accidents and errors in food prep. More importantly, without an exhaust fan sucking hot, greasy air away from your cooking equipment, more grease is going to precipitate out of that hot air onto various surfaces in your kitchen, including the ductwork. The more grease you have accumulating, the faster fire hazards will develop and the more frequently you will need grease removal services. What Can You Do To Keep Your Fan in Top Shape? You can of course watch out for common signs of a malfunctioning exhaust fan, such as poor air flow or a hot, smoky kitchen and then get the necessary exhaust fair repairs. However, whenever possible it’s better to prevent problems rather than wait for them to become noticeable in the kitchen. At Flue Steam, we offer several important services to help reduce your fan’s risk of premature failure. First of all, we always clean the exhaust fan whenever a steam cleaning is ordered. Secondly, we offer a free exhaust fan inspection during this same visit. We will grease the fan bearings and check various vital parts such as the belt. If the belt is worn and you have a spare one on hand, we will be happy to replace it for you at no extra charge. When Was The Last Time You Checked on Your Fan? Get your exhaust fan the attention it needs by calling Flue Steam today.